The story of the Crispi Nevada GTX goes back over 40 years ago when Alessandro Marcolin started hand constructing Crispi boots. The Nevada has been a staple in Crispi’s lineup ever since. Add the latest cutting edge technology in footwear with the handcrafted precision and comfort we are known for and you get the hands-down best hunting boot on the planet. There is no wonder why the Nevada has withstood the test of time and continues to conquer every mountain it faces. 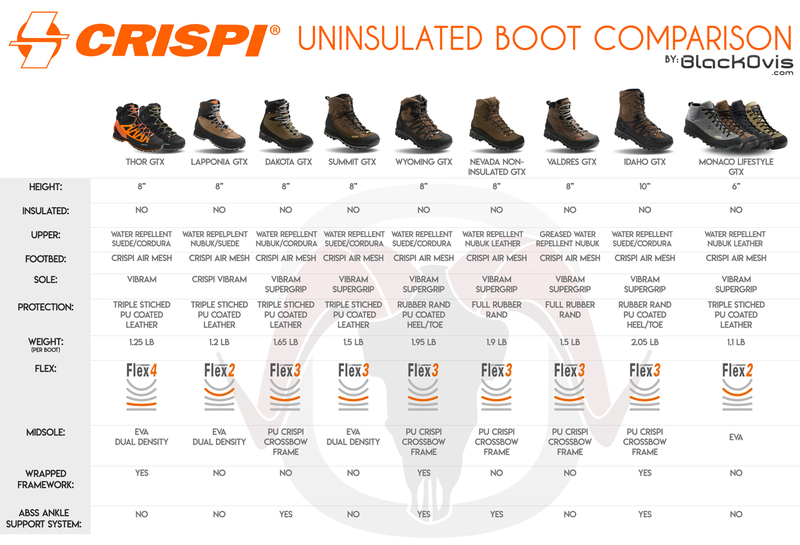 Brought in by popular demand for 2017, the Nevada GTX Crispi hunting boot is now offered in a non-insulated version.